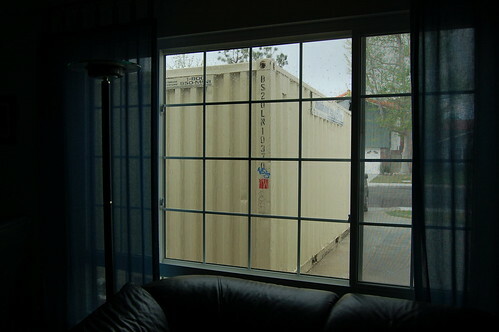 The storage unit we will use during our remodel/addition project arrived today. We have till Monday to get all the stuff from the bonus room and garage moved into it. Demo starts 8 am on Monday! Talia, Kayli and Aidan got their report cards for last trimester today. I couldn’t be more proud of them! Talia and Kayli both got straight A’s! Aidan got all “S’s” with a lot of “+’s”. 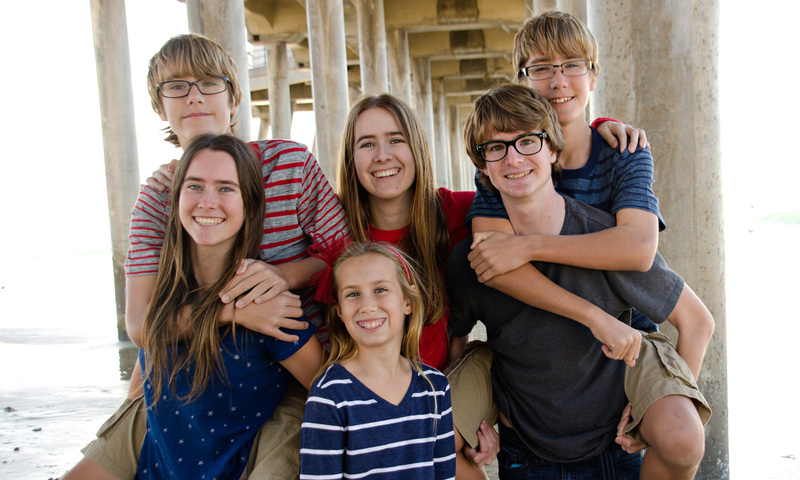 This is the eighth straight trimester that Talia has made the honor roll. Way to go Talia!!! 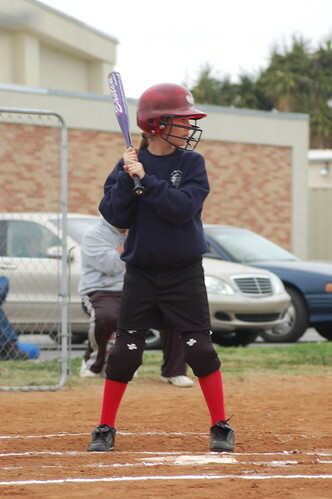 Talia’s softwball team had their first two games this week. Unfortunately the lost both games. But, Talia said she had fun playing anyway. She got a hit at both games, but got out before she made it to first. She did advance runners both times though. Falyn is so cute with her phone. She will hold it up to her forehead and say “Hello” and “Hi”. She does this over and over again. She’ll also do it with other small items that are around the same size, like a computer mouse. Falyn’s seventh tooth popped out today. It’s the tooth on the top right, next to the top middle two teeth. 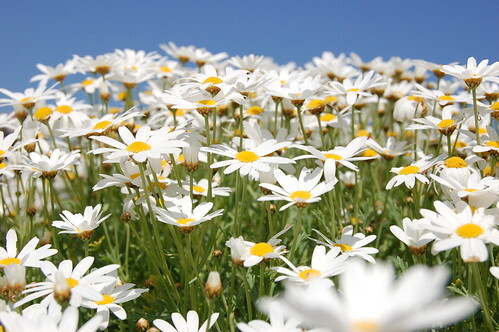 Some pretty spring flowers from my front yard. We have the permits and a start date! 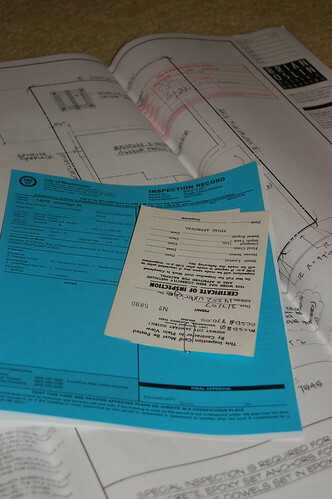 We finally got all the permits from the city and a start date from the contractor. Demo will begin on Monday April 2. That only gives us two weeks to get all the remaining stuff out of the bonus room and garage. We’ll be ordering a mini-mobile unit soon to store all the stuff during the construction. Yesterday I did a portfolio building session of my neighbors newborn. He is such a cutie! He did so good for the pictures and we got a bunch of good ones. It will take me sometime to go through and process them all. So far this is the only one I’ve run through photoshop. I think it turned out pretty good and will be great for my portfolio once I get my website going. Kayli had her first game of the season today. Her team, which is named HB United, played the Icebreakers. They beat them 8-0. Kayli even scored a goal during the game! The 8 goals were scored by 8 different girls on the team. They have a great team this season with a lot of good players and an excellent coach. Aidan also started spring soccer. He is doing the intramurals program and learning skills from some great internationally renown coaches. His program is one hour a week each Saturday morning. Kayli had her March cotillion yesterday. It is always fun to watch the kids dancing. They learned the Irish Jig, since is was almost St. Patrick’s day. 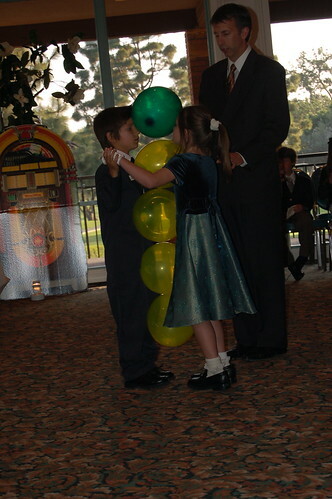 For the game, they had to dance with balloons between them. They started with one balloon, then moved on to two, three, four and finally five! I was amazed that Kayli and her partner where able to do four and didn’t think they would make it with five. But they were both very determined and ended up winning! Kayli was so excited to finally win a game at cotillion. She picked out a cute brown bunny and named him Cha-Cha, since that was the dance they had to do for the game. After cotillion, Kayli and I went out to dinner at Islands. It was nice having dinner with just the two of us. Kayli commented on how nice and quiet it was eating without the boys.